Imaging studies are not the only objective findings in medicine. 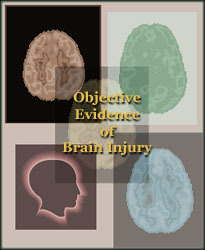 Neurological science has developed based upon the premise that a “footprint of pathology” or the footprints of concussion, is objective evidence of injury. When a person cannot see, even if we cannot pinpoint the cause of the blindness, this “footprint of pathology” tells us that there is damage. When a person cannot hear, likewise this “footprint of pathology” tells us that there is injury. When a neurological exam shows focal neurological deficits, this is a “footprint of pathology”. All of these are “objective evidence of injury”. Neuropsychological testing is essentially a “footprint of pathology” and as such is objective evidence of injury. Neuropsychological testing is based upon the theory that by measuring and assessing how the brain is functioning, we can determine if there is a pathology. Therefore, the footprints of concussion can be determined with deficits or frontal lobe deficits that can not be detected on imaging procedures done after brain injury. 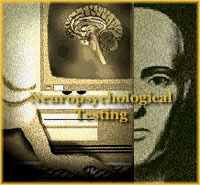 Neuropsychological testing can objectively determine the brain’s current capacities. Then, by comparing the pattern of these results, with the patients pre-morbid capabilities, and correlating these results with the nature of the trauma suffered by the patient, neuropsychologists can establish and confirm a diagnosis of brain injury. Unfortunately brain injury can go undiagnosed if the neuropsychologist doesn’t recognize the signs. Some deficits are very subtle and are missed because the patient does present with obvious signs of the deficit. Deficits such a time management issues, trouble making decisions or even short term memory loss may not be evident if they are not looking for it. These and many more deficits are extremely important to the patient as they could interfere with everyday life.